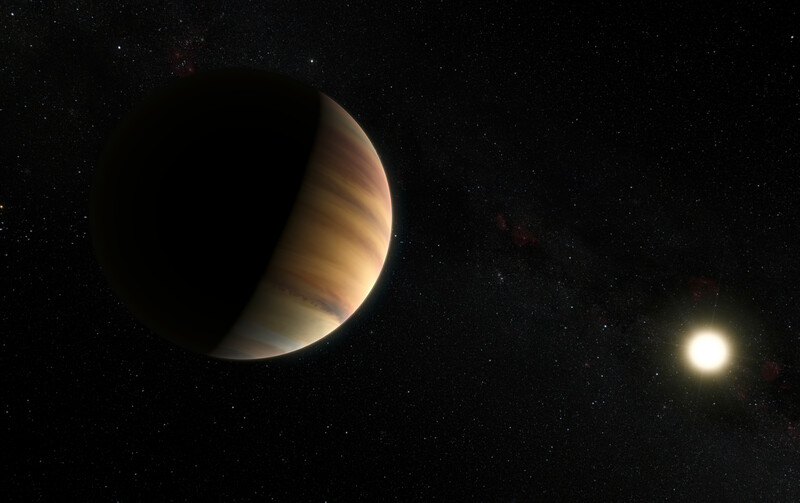 This artist’s view shows the hot Jupiter exoplanet 51 Pegasi b, sometimes referred to as Bellerophon, which orbits a star about 50 light-years from Earth in the northern constellation of Pegasus (The Winged Horse). 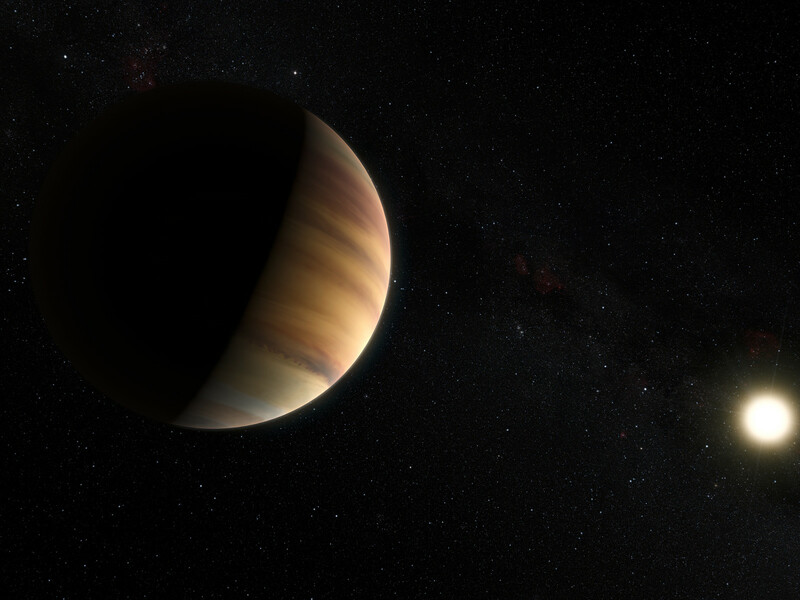 This was the first exoplanet around a normal star to be found in 1995. Twenty years later this object was also the first exoplanet to be be directly detected spectroscopically in visible light.